Finding the right addiction treatment provider and rehab program for you or your loved one struggling with an addiction can be daunting. Like most people you likely begin your search online by using search terms such as, ‘addiction treatment in my area’ or ‘drug rehab’ or ‘help with addiction’. The search yields a long listing of websites that usually take you to another directory listing of treatment programs and drug rehabs. As you finally get to treatment facility websites, each site is filled with pictures of happy and/or strung out people, beautiful buildings, and people in lab coats. Once you’ve looked through a few they all seem to look the same and offer exactly the same services. 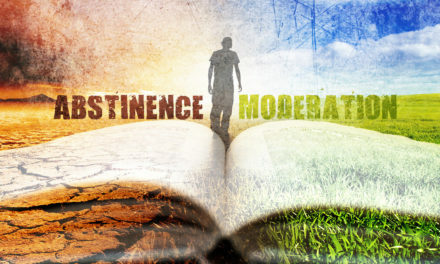 So what should you be looking for, and how should you choose? If you’re going to invest your time and money in a rehab program, the first thing you need to do is talk with someone directly who is willing to listen intently to your specific situation, your needs and the services you are seeking and answer a few questions. Here are 10 questions to ask a prospective treatment provider that will help you to determine if their services are right for you. 1. How is the food at your facility? Would you eat it? You might be wondering why I started with this seemingly trivial question. The answer is simple: you or your loved one are going to spend 28-180 days or more at this place. When seeking help for a heavy substance use problem many people are malnourished, exhausted, sickly and feeling terrible. 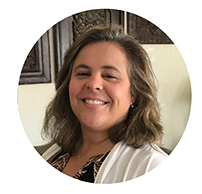 The quality of the food, and even more important, the attitude of the person answering the question, will tell you how this treatment provider cares for their patients/clients. Listen carefully to the response. The response you are seeking is, “Yes, the food is amazing! We have professional chefs on staff and we offer a variety of healthy, fresh selections daily.” Unfortunately the more common response is, “I’m sure it is fine”, or “it is good”, or “I don’t know I’m not actually at the facility but I hear it is good”. The answer you hear will tell you all you need to know about the level of care you or your loved one will receive at the facility. If it is a less than enthusiastic yes, I would mark that facility down as not a fit. 2. What is your treatment model (e.g. 12-step, group therapy, counseling, education, etc.) and what are the techniques used to help people to overcome a substance use problem? Virtually all treatment programs in the United States, both inpatient and outpatient, are based on the disease model of addiction and use the 12-step program. Some inpatient treatment facilities will call themselves non-12-step programs because they do not have 12 step meetings on site during the treatment day, but will transport their patients/clients to an offsite location for AA/NA meetings. Many treatment providers exclusively utilize various forms of talk therapy typically in a group setting, similar to 12 step meetings but with a professional facilitator. Some programs may provide some private counseling but it is sporadic and limited. Some programs may provide additional therapies such as equine therapy (care for horses), music and art therapy, massage therapy, exercise programs, vitamins and supplements, and pharmacotherapy (medications) among others. Ask if their program requires people to take on a belief that they are powerless over substances, and that they are suffering from a progressive, incurable brain disease, or if they use a different approach to addiction that is more empowering. There are a few programs that are not disease or 12 step based with a more empowering approach. They are educationally based and provide all private, one-on-one services. They have demonstrated higher rates of long term success. 3. Do you do follow-up surveys or studies on those who have completed your treatment program; and if so what is your success rate and for how long do you measure post treatment (e.g. 30 days, 90 days, 1 year)? When asked this question many treatment providers will get irritated as they all know that relapse rates after treatment are very high; some estimates are as high as 80% or more within a few days or weeks of exiting treatment. This is when the well-meaning phone consultant may explain to you (possibly in a condescending tone) that addiction is a relapsing brain disease and relapse is part of recovery, or they may state that if people do not follow the directives once they leave treatment then they cannot be accountable for their failure. They will explain that no treatment center does those kinds of studies and may even go so far as to say that anyone that tells you they do is deceitful and only after your money. Regarding this last point in some cases they may be right. If the treatment provider gives you a success rate statistic for their program, then it is important that you ask for supporting research documentation that you can view either online or that can be emailed or mailed to you. If they don’t have a written research paper, scientifically conducted survey or other official documentation, then it is likely the statistic you were given is fabricated. What your are seeking is a treatment provider that cares enough about those they help to do follow-up studies on their program graduates and adjust their program accordingly to improve outcomes. 4. Is there one-on-one help or counseling provided, and if so how often and for how long each session? Many treatment providers promise one-on-one therapy and counseling in their marketing materials and on their websites, and charge you and/or your insurance company very high rates for these services. However, after you have arrived you realize that your one-on-one therapy is limited to one or two hours per week only, and the bulk of your treatment is in a group therapy setting. If privacy and confidentiality is important to you, then I recommend seeking treatment center that offers all private counseling sessions and minimal, if any, group therapy. 5. What are the lodging accommodations? How many people to a room? Do you have private or semi-private rooms available? There are many different types of facilities across the country that provide various lodging accommodations for a wide variety of pricing structures. Just because a program may advertise as private, luxury or executive and may cost tens of thousands of dollars doesn’t necessarily mean you will be in a private room or private suite. Most treatment facilities, including those advertising as luxury or executive, only offer semi-private (2 people) rooms or group rooms (3 or more) as there is a belief within the treatment industry that this is helpful in some way. There is no evidence to suggest that group rooming leads to higher rates of success, and there is a plethora of evidence to show it can lead to reduced completion rates and additional problems within the treatment setting. Additionally please don’t assume that you must be housed in an uncomfortable group room because your funds may be limited. There are many options available out there. You will have a much more positive experience in a rooming situation in which you are most comfortable and can get a good night’s rest. 6. Are you a 12-step program and/or do you recommend or require attendance at 12 step meetings? If you are seeking a 12-step program you are in luck as the vast majority of treatment providers utilize it. However, if you are seeking a non-12-step program because you’ve tried 12-step and it hasn’t worked for you, be cautious. There is no greater bait and switch within the treatment industry today than the “Non-12-Step” bait and switch. Just because a rehab claims they are non-12-step doesn’t mean they actually are, it may simply mean they don’t have 12 step meetings onsite. It is likely they still do 12-step facilitation and teach people they are powerless and have a disease called alcoholism or addiction, and must spend a lifetime in treatment and meetings. If you are seeking a true non-12-step program, it is important to ask: “Do you have AA or NA meetings available to people who may want to attend?” If the answer is yes, they are a 12 step program. If that is what you’re seeking then perhaps this may be the program for you, but if you’re seeking a true non-12-step program, then it is best to move on. A true non-12-step program will offer a completely different approach, will not diagnose you with a disease or disorder, and will not have “optional” 12 step meetings or recommend them for aftercare. 7. Do you use medically assisted treatment (MAT) such as naltrexone, buprenorphine (Suboxone) or methadone as a long term therapy (beyond detox); and do you recommend it as lifelong therapy? The new holy grail of treatment is Medically Assisted Treatment (MAT) which is the use of replacement therapy medications such as naltrexone (Vivitrol), buprenorphine (Suboxone) which are both relatively new, and methadone which has been around for decades. While these substances have been primarily used for detox purposes until recent years, they are now being prescribed long term for people with alcohol use disorder and opiate use disorder. The data regarding success for these methods has been less than encouraging, but many in the treatment industry are looking to this treatment modality to solve the current opioid crisis. While this method may help some in the short term as they detox, the evidence as to whether or not it is helpful as a long term solution is just not there. If you do not want to be relegated to taking an expensive medication that forever chains you to your past struggles then perhaps MAT is not for you. 8. Approximately how many of your patients become dual diagnosed at your treatment facility? This is an interesting question, and it is likely that no will have an answer for you. It has become a common practice in recent years for treatment providers to diagnose “underlying mental illness” in addition to substance use disorder with the high percentage of their clientele. This means that substance users seeking help for a substance use problem go into treatment seeking a solution to that one problem and come out with a multitude of mental health diagnoses in addition to their diagnosis of substance use disorder. Not only are they not provided a solution to the problem for which they originally sought help, but they now are faced with the prospect of having mental health disorders that they now believe cause them to use drugs and/or alcohol, and for which they are newly medicated. That is not to say that heavy substance users do not struggle with depression, anxiety, dramatic changes in mood and demeanor, and even paranoia and delusions at times. Many do, but in the vast majority of cases these problems are the direct result of long term, heavy substance use combined with months or years of neglecting personal responsibilities. Facing mounting bills, strained relationships, loss of job, health issues, and other problems that often come with the heavy substance use lifestyle is seriously stressful causing depression, anxiety, and unstable mood. Facing or rather not facing these problems can also make getting drunk or high seem much more attractive. The right program will not diagnose you new disorders and medicate you, it will empower you to take control of your life. It will help you to evaluate your level of substance use and have you consider the possibility you can be happier by making an adjustment. It will show you how you can work through the daunting process of getting your life back on track which will help to relieve depression and anxiety and stabilize your moods. The right program will show you how to solve problems as they arise in the future, and how you can build a life in which you can feel good about yourself and your future. 9. What will my final out-of-pocket expenses be? Whether you have health insurance or not, it’s a good idea to request what your out-of-pocket costs will be from a prospective treatment provider up front and in writing prior to making a commitment. If a treatment provider will not give that to you, that is a red flag which indicates you will likely end up stuck with a hefty bill of thousands of dollars or more after you’re already enrolled and/or have completed the program. Some treatment providers advertise that “up to 100% of our treatment is covered” and with most that turns out to be false. Many insurance providers have deductibles and co-pays that can be thousands of dollars, and you can find out from your insurance provider prior to talking to a treatment facility what those will be for you. In addition, many ancillary services may not be covered by your insurance so additional costs will be incurred once you or your loved one are enrolled in the treatment facility. Some insurance providers will only cover a short term inpatient treatment stay well under the standard 28 days, and then the remainder of your stay will be your responsibility or you will be forced to leave the program prior to completion. Getting all the facts about your out-of-pocket costs up front will help you to make an informed decision and avoid a costly surprise while you’re working to get your life on track. 10. What aftercare is provided and is there an additional cost? 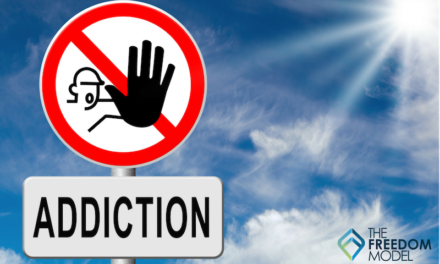 Within the current addiction treatment system in the United States there is a strong belief that addiction is a lifelong disease that requires lifelong treatment even though this is not supported by the data. This belief is based solely on the high relapse rates for people who go to treatment, and it has become quite lucrative for the treatment industry. The primary recommendations for after care are daily attendance at 12 step support group meetings (Alcoholics Anonymous and Narcotics Anonymous) combined with ongoing outpatient therapy. Some treatment providers recommend placement in sober living homes and half-way houses that are typically affiliated with the treatment provider. These are places where groups of people can live for several weeks or months post treatment. 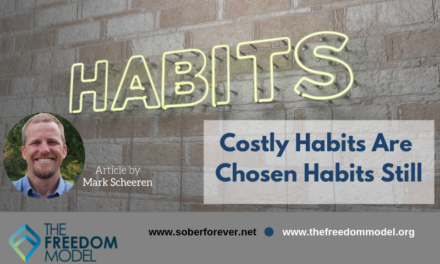 They are thought to help people transition into a sober lifestyle, however relapse rates and rates of overdose in those facilities is high as they are less structured and offer little if any supervision. If the treatment provider states they have sober living housing and they move people to it at some point during their program, ask when that will happen, where the facility is located and what percentage of people relapse while in their sober living housing. Any and all aftercare services provided by a treatment facility will have out-of-pocket costs associated with them even if you have great insurance. Once again it’s a good idea to get a written quote for those costs up front prior to enrolling in the treatment program. In closing, When seeking a treatment program pay close attention to how you’re treated from the very first phone call. Does this person listen to your concerns and answer your questions kindly, or does he/she immediately ask how you will be paying for their program? Do they ask you questions about your specific situation and take a real interest in helping you, or do you feel rushed or like you’re being read to from a script? Do you get the feel this person wants to help and has the capacity to help, or do you feel like you’re being ‘sold’ or pushed to make a hasty decision? The right treatment provider will not be pushy, salesly or try to scare you into making an immediate commitment. They will listen intently; they will take the time email you detailed information; they will offer you a tour of their facility with no commitment, and they will give you intimate details about their treatment, their staff and their facility. You are seeking help for a serious personal problem and that requires serious personal attention right from the very first call.